2015 marks URBAN-15’s 11th annual Holiday Laser Show, a multimedia spectacular of choreographed laser beams, colorful 3D animation and light effects performed to traditional holiday favorites and experimental electronic composition. The Holiday Laser Show is a collaborative production of laser artist Tim Walsh and composer George Cisneros, who have worked together on projects in cities all around the United States. Notable presentations include the opening ceremonies of the Texas Sesquicentennial in 1986 at the State Capitol; the World Empathy Conference in Guadalajara, Mexico; and the 2008-2012 LUMINARIA celebrations in San Antonio. The Holiday Laser Show is much beloved by the thousands of students throughout Bexar County whose schools reserve seats each year for URBAN-15’s daytime shows. On December 8th at 7pm, URBAN-15 will also present a one-night-only evening performance open to the general public. The first half of the show will be holiday-themed and family-oriented, while the second half is for true laser show aficionados, featuring more abstract visual and sonic expressions and a saxophone performance by Tim Walsh. In addition to his long career as a musician, Walsh is recognized worldwide within the field of laser arts as a technological wizard and artistic innovator, and this is a unique opportunity for San Antonio to witness his work. The Holiday Laser Show will be held at the beautiful Lila Cockrell Theater in downtown San Antonio (200 E. Market 78205). Tickets prices are $15 for general admission, $12 for military/students/seniors, and $10 for children 12 and under. Tickets can be purchased in person at the Alamodome box office or online at Ticketmaster.com, and parking is free in any city-owned lot as part of Downtown Tuesdays. 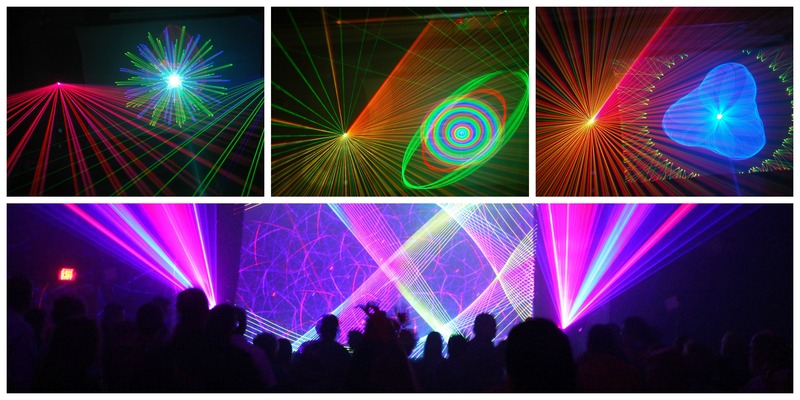 ← Want to Take Your Students to URBAN-15’s Holiday Laser Show?